SDCC ALIEN 2PKS SOLD OUT! Wow, SDCC, you still can surprise us. Preview Night was the busiest ever in our 12 years of exhibiting! We ended up selling out of all of the ALIEN ReAction Figures “Discovered Sales Samples” 2 packs in one night. That is incredible –thanks to everyone who came out and helped to may the toy a success! We are still accepting preorders for the main attraction: the full set of five ALIEN ReAction Figures…with FREE Early Bird Package and FREE shipping. The Early Birds are Exclusives to SDCC! SAVE MONEY (and time) AT SUPER7’S SDCC BOOTH! 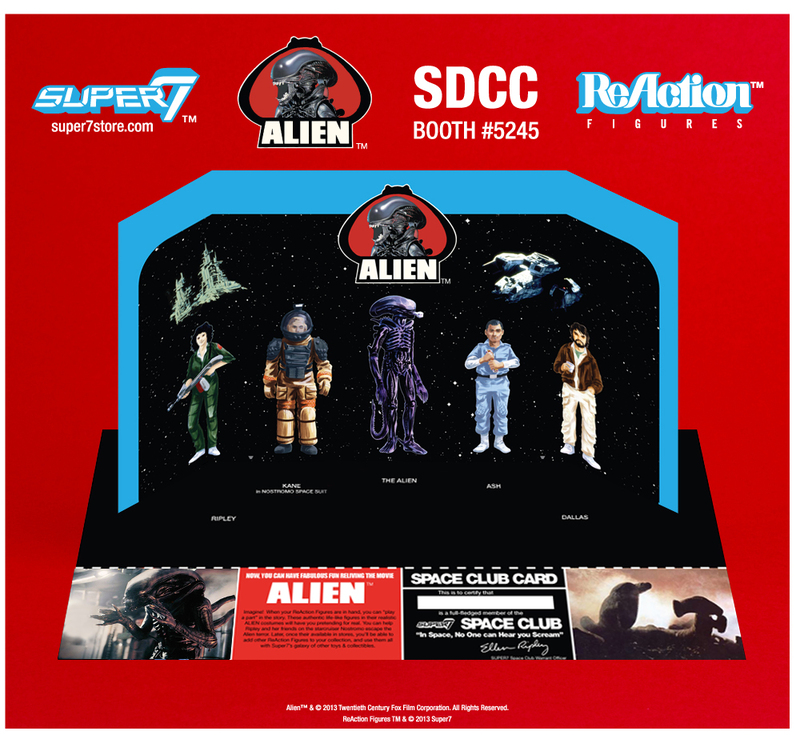 PREORDER YOUR ALIEN REACTION FIGURES AT SDCC ON SUNDAY! Check for IN HAND photos. Scammers post every sdcc exclusive weeks before the con. When can us regular people order these awesome figs!!!! What kind of packaging will they come in?